St. John’s wort is often touted as a treatment for a variety of disorders, including depression, anxiety, sleep disturbances and premenstrual syndrome. The strength of the evidence regarding its effectiveness for these conditions varies and is sometimes conflicting. However, it is known that St. John’s wort can have negative side effects and interact negatively with other medications. Because the U.S. Food and Drug Administration has not evaluated St. John’s wort for safety, you should not take it if you are pregnant or breastfeeding. When St. John’s wort is taken alone in recommended doses, side effects are uncommon, generally mild and brief. They include sensitivity to sunlight, dry mouth, upset stomach, constipation, dizziness, confusion and increased anxiety. However, if you have bipolar disorder, you might experience increased manic episodes, during which you have an abnormally elevated mood that interferes with daily functioning. Psychosis, or loss of contact with reality, is a rare side effect, but it can occur if you have a mental disorder and take St. John's wort. 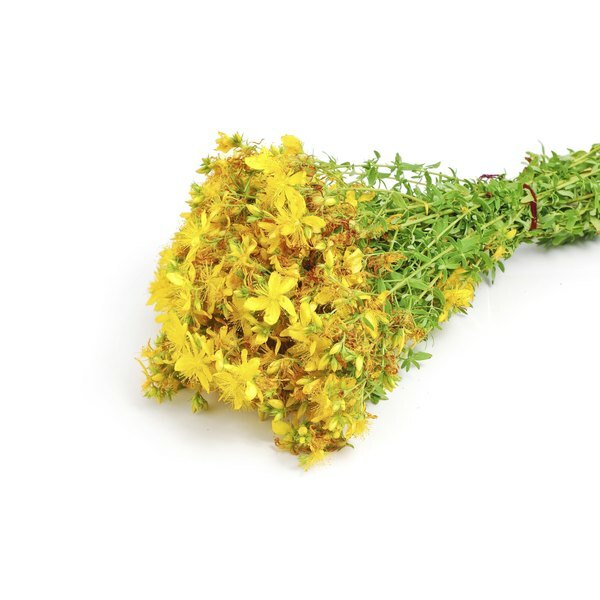 St. John’s wort can reduce the effectiveness of some prescription medications, including some antidepressants, birth control pills, antiseizure medications and blood thinners. It can also diminish the effectiveness of cyclosporine, an antirejection drug taken by organ transplant recipients, as well as the HIV medication indinavir (Crixivan) and the chemotherapy drug irinotecan (Camptosar). If you take these drugs or any other prescription medications, talk with your doctor before trying St. John’s wort. Taking St. John’s wort with antidepressants can uncommonly lead to a potentially fatal condition called serotonin syndrome, which occurs when the serotonin levels in your nervous system increase to dangerous levels. Symptoms of serotonin syndrome include tremors, vomiting, diarrhea, confusion, muscle stiffness, rapid heart rate, high blood pressure, fever and seizures. People with symptoms of serotonin syndrome require immediate medical evaluation.